Over time, your skin can lose its youthfulness and shape due to excessive sun exposure and the aging process. Over time, your body may develop sun spots, wrinkles, and lose that natural look. 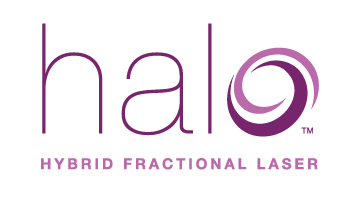 Halo eliminates years of damage by accurately targeting the right depth of skin. Halo restores the youthful appearance you had when you were younger. The Halo treatment allows your clinician to improve the glow of your skin in only a few quick appointments. Using high tech solutions that are tailored to your needs and customized for your skin are an important part of our strategy for success. Youthful and healthy-looking skin does not have to be painful or expensive. Our team is dedicated to providing you with the best care possible. In the past many skin treatments involved harsh chemicals that damage the skin over time or take a long time to apply, not to mention the award healing process after treatment. Our team only uses the most advanced treatments available, so you can get back to your daily life without having to worry about healing or redness. In only a few appointments you can transform your look. Halo is a comprehensive treatment. You will notice a glow in your skin in addition to a reduction in pore size with reduced bacteria and dead skin on the surface of the treated area. Patients can choose how many treatments they want to complete. Based on your desired results, your physician can formulate a plan to get the look you want. After you determine the area and expectations, you can begin your treatment process. Your physician may choose to use topical anesthetic to numb the area in preparation. After the area is ready, we will use the Halo device to improve the skin until the system is able to determine that it is complete. With a topical anesthetic and integrated cooling technology, most patients experience no pain or a mild discomfort. Most patients describe the treatment as a feeling of warmth with tingling sensations but are generally comfortable. After the treatment, most patients will continue to feel warmth for up to half an hour. Because there is little to no recovery time for your skin, most people re able to pick up their daily activities almost immediately. You will see initial results between two and five days after your Halo treatment. Your skin will also begin to improv on its own in the months following your treatment sessions. The results of using the Halo system will be visible for years to come, but you should always protect your progress using sunscreen to protect the skin from UV radiation.